We began our operations in 2003, handling one of the hosting companies in Las Vegas, Nevada that’s now part of our corporation. After 10 years of very well enjoyed work, we stopped for a moment on 2013; the Industry enabled hosting options starting on $1.00 per month, totally massifying the business, turning cheap hosting as a standard for customers who see hosting as an expense and not as an investment. At that point, we decided to focus on customized and personalized hosting solutions, specifically designed for each one of our clients, choosing, as in every aspect of our business, to focus on those clients who are looking for a first world class service, a very high quality one, integrating advanced options with services like Web Design, Software, and others that prioritize availability and security instead of “bulk” hosting, where clients have to share the infrastructure among other tens of thousands domains, affecting not only the quality of service but also the search engine options and security of systems and data. Since long time ago, and also nowadays, ZARZA has bought more than 20 hosting companies around the world, currently owning high quality infrastructure in all the 3 Americas and Europe, infrastructure that we make available for our selected clients. Load Sharing and replication on different countries. 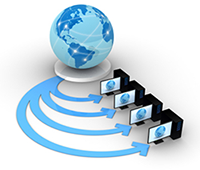 Private Net Servers and VoIP telephony. High availability racks with ASN and BGP configurations with multiple lines from different ISPs. Offering a couple-dollars hosting service forces companies to massify their service, offering very limited packages in inodes but also in bandwidth, affecting peak visitation and websites processing. Taking a deep look into what happens on these “peaks”, those are the moments when our clients are actually making money, this is when the website has more visits and when they have the chance to make great business. If the web hosting doesn’t respond well on this critical moments, that hosting will just not work for real and serious business. Let’s see an example: We’re handling a business of one or several million dollars and a brand we’ve spent our dedication and effort in; we invest some thousand dollars on a web design but just a few dollars on the motor that runs and supports our investment, here is when we get into the bottleneck that affects our business interests, the end users who are trying to visit our website, and the overall web project, putting it into risk of failure. SSL Certificates for Electronic Commerce. To start the Hosting process today, we invite you to HIRE A ZARZA ENGINEER TODAY by clicking here, using a secure online payment platform. Once you’ve been contacted by one of our Engineers, he or she will guide you through the process giving out the best of him or herself to become your well trusted Zarza Engineer. 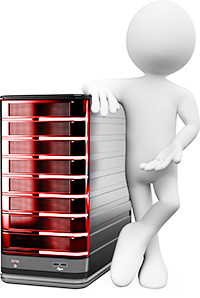 ZARZA Engineers are specialists on the hosting Industry, we plan and operate data centers all around the world, we are available to save your time, your money and avoid you to have hard times!